This award is to recognize the person making the most significant overall volunteer contributions to the club during the year. Selection: The basic criteria are the same as for the Volunteer Service Award. The award is given to the person who contributes the highest quality and greatest variety of personal effort in support of MCRRC, making the most significant contribution to club programs during the year. 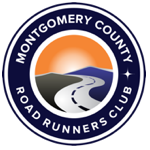 If you would like to suggest an MCRRC member be considered for nomination for Volunteer of the Year Award, please fill out this form. Thank you!